A captivating novel that explores the little-known romance of a beloved American icon. Helen Keller has long been a towering figure in the pantheon of world heroines, yet the enduring portrait of her in the popular imagination comes from The Miracle Worker, which ends when Helen is seven years old. Rosie Sultan's debut novel imagines a part of Keller's life she rarely spoke of or wrote about: the man she once loved. When Helen is in her thirties and Annie Sullivan is diagnosed with tuberculosis, a young man steps in as a private secretary. Peter Fagan opens a new world to Helen, and their sensual interaction-signing and lip-reading with hands and fingers-quickly sets in motion a liberating, passionate, and clandestine affair. It's not long before Helen's secret is discovered and met with stern disapproval from her family and Annie. As pressure mounts, the lovers plot to elope, and Helen finds herself caught between the expectations of the people who love her and her most intimate desires. 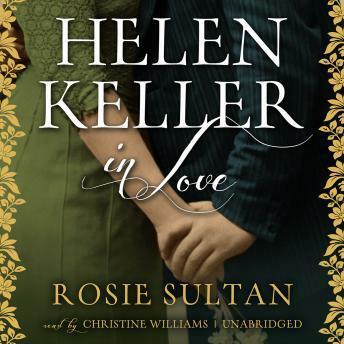 Richly textured and deeply sympathetic, Sultan's highly inventive telling of a story Keller herself would not tell is both a captivating romance and a rare glimpse into the mind and heart of an inspirational figure.